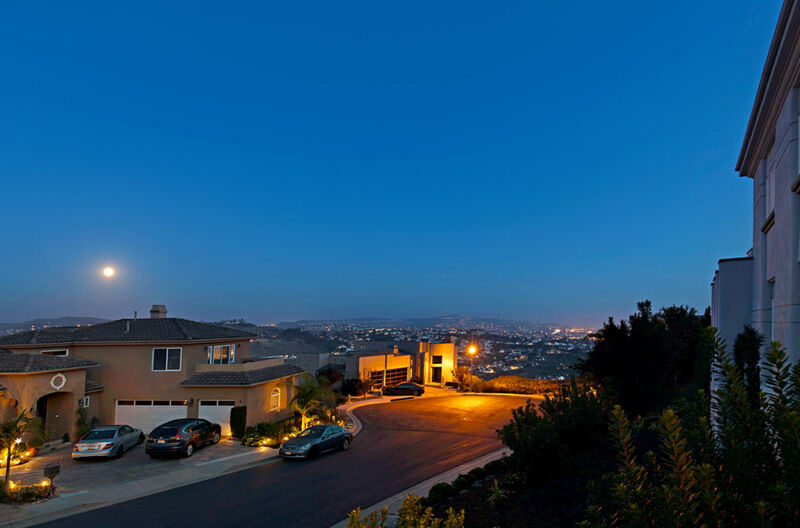 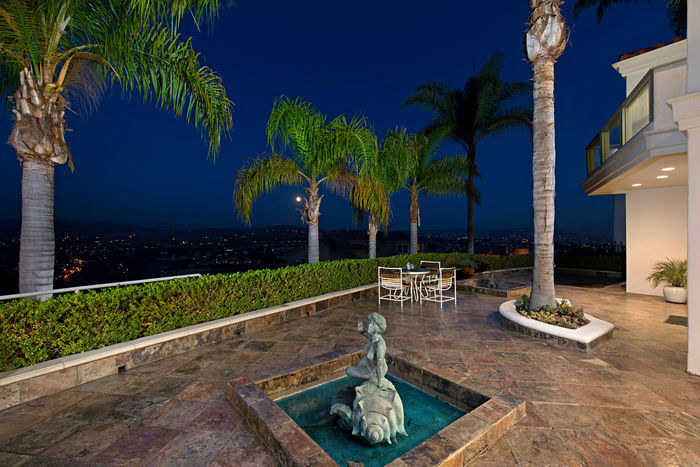 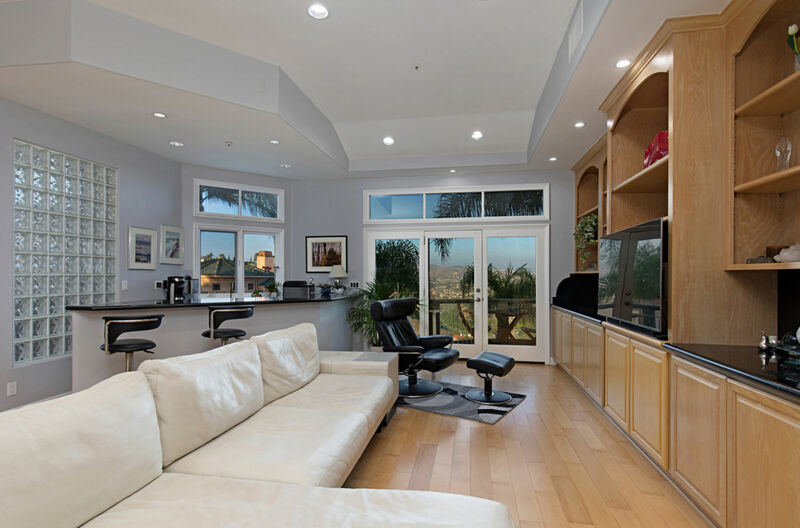 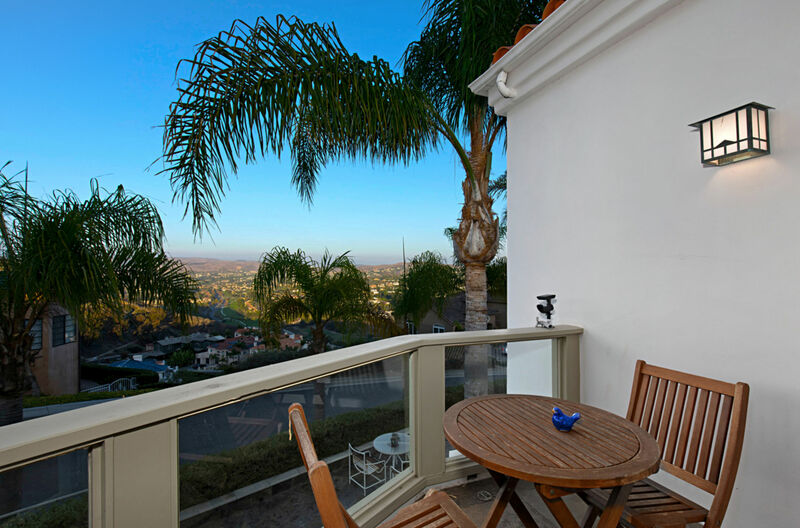 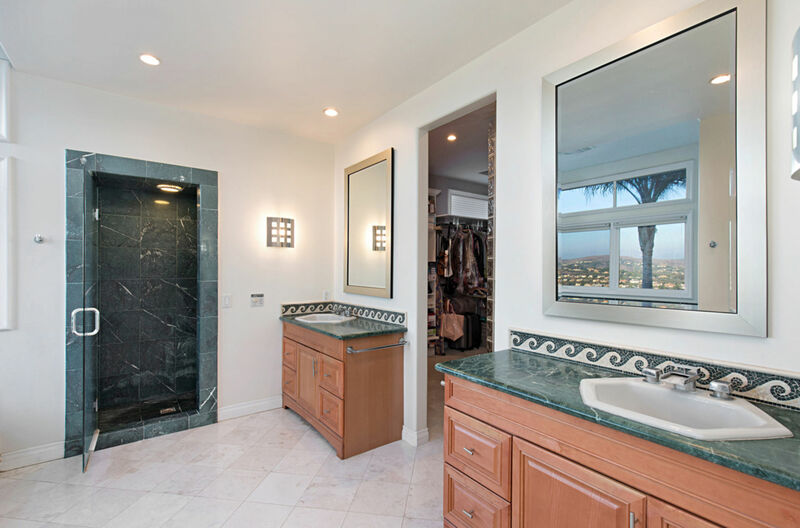 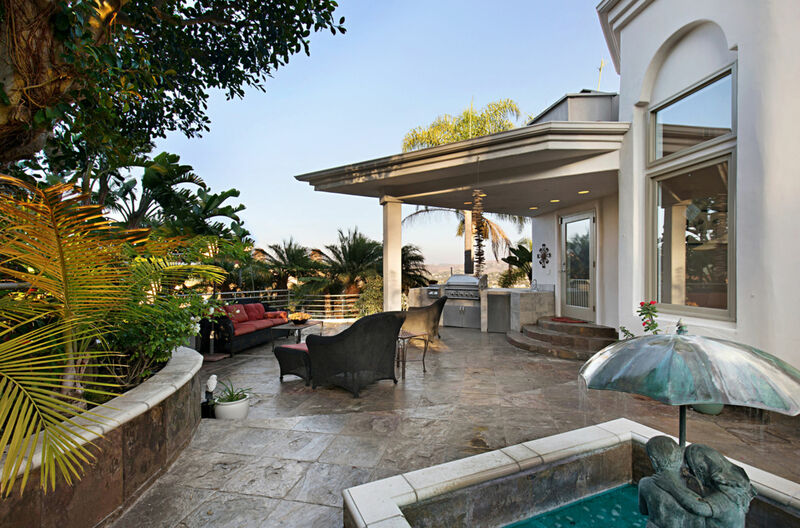 Admire stunning VIEWS high on a hill from the Best-Priced View-Home in the custom-home community of Sea Pointe Estates. 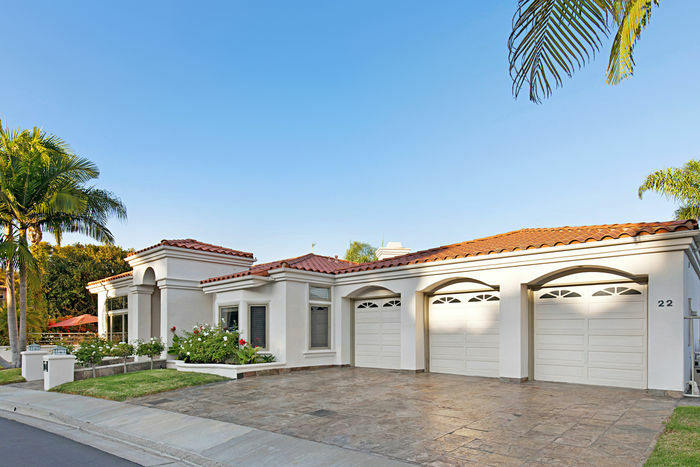 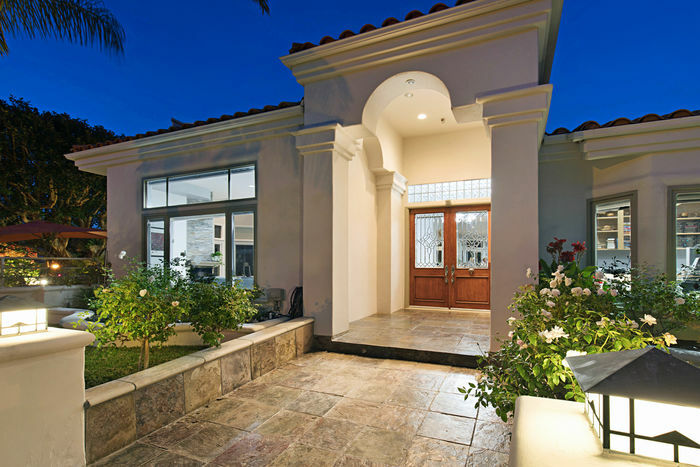 Situated on a single-loaded street on a triangular lot, the estate offers added privacy within this exclusive 24-hour Guard Gated Community. 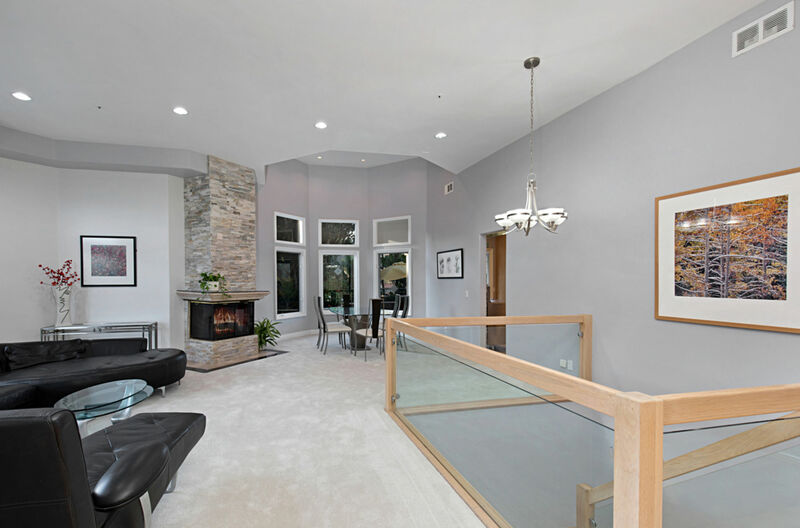 This unique Open Concept 5 bedrooms, 5.5 Bath home has Main Floor Master, Large Executive Office, and a spacious 3-car garage. 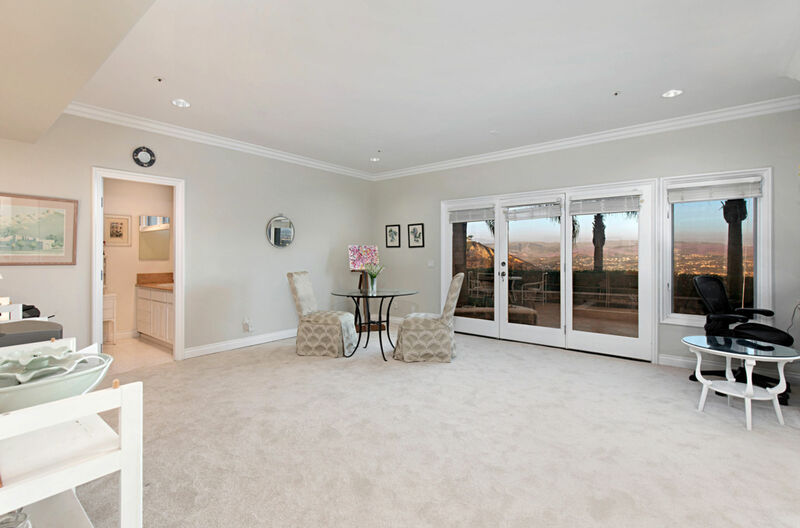 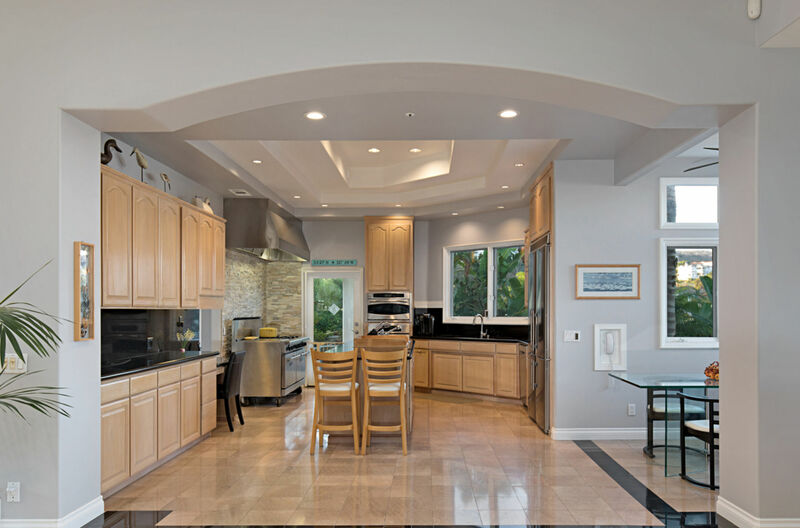 The formal living and dining rooms, family room, and chef’s kitchen are all perfectly designed for entertaining. 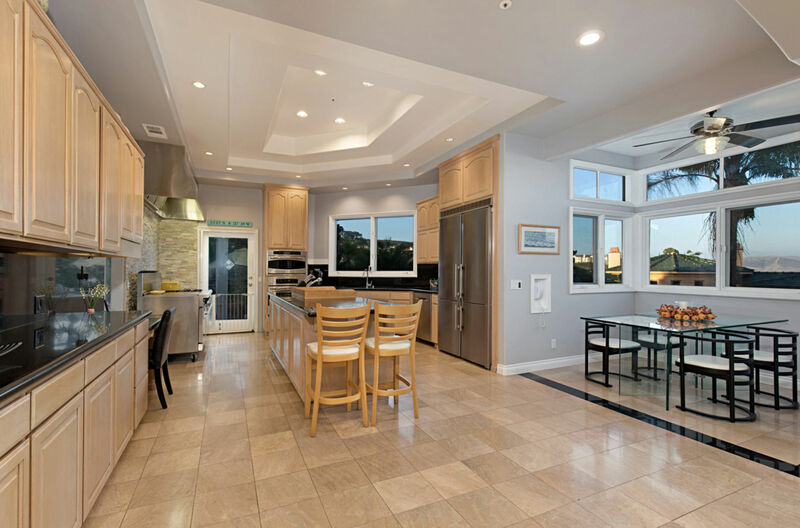 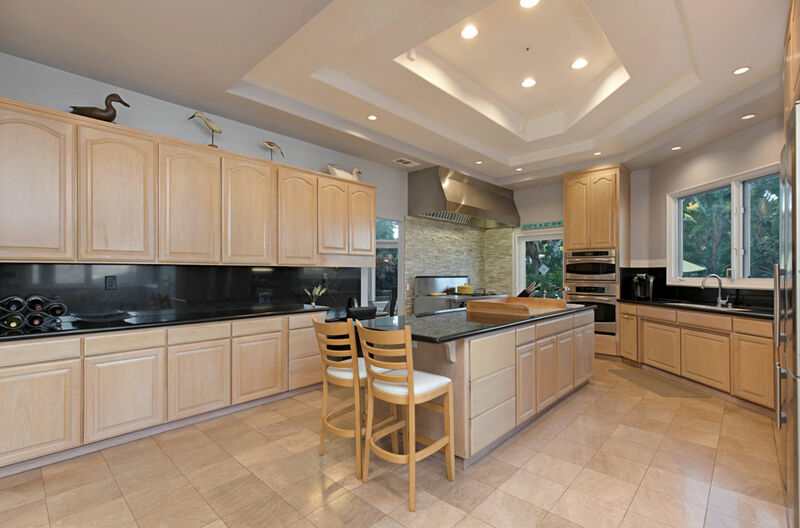 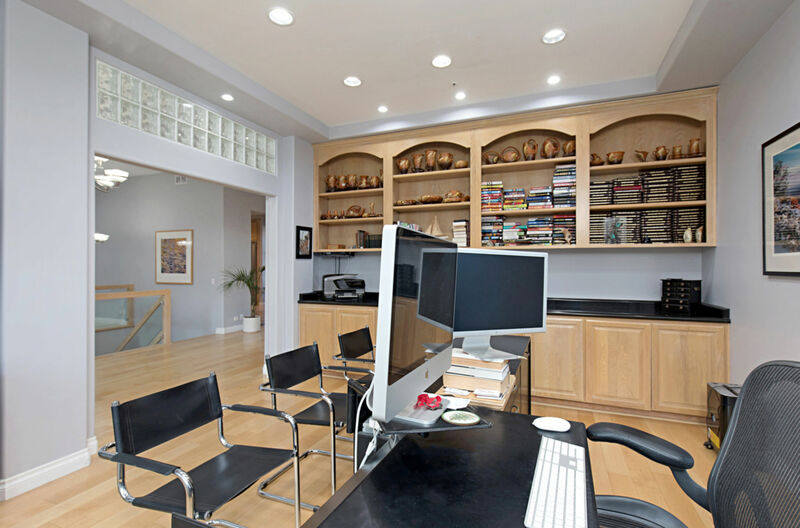 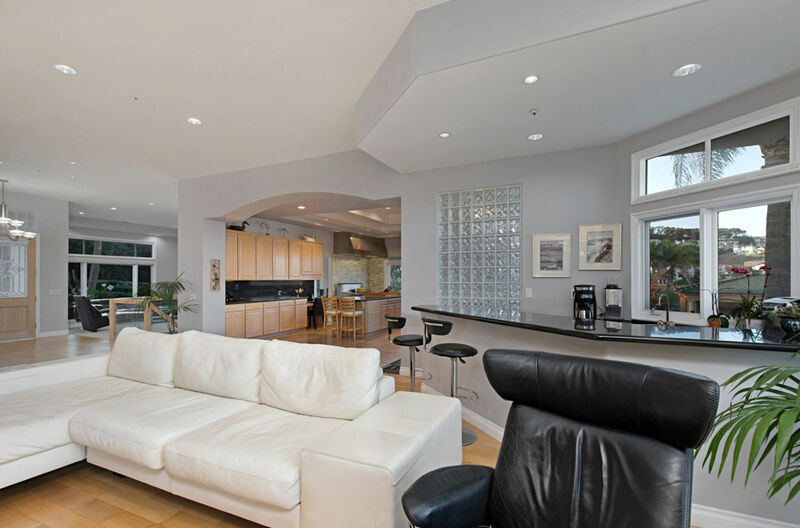 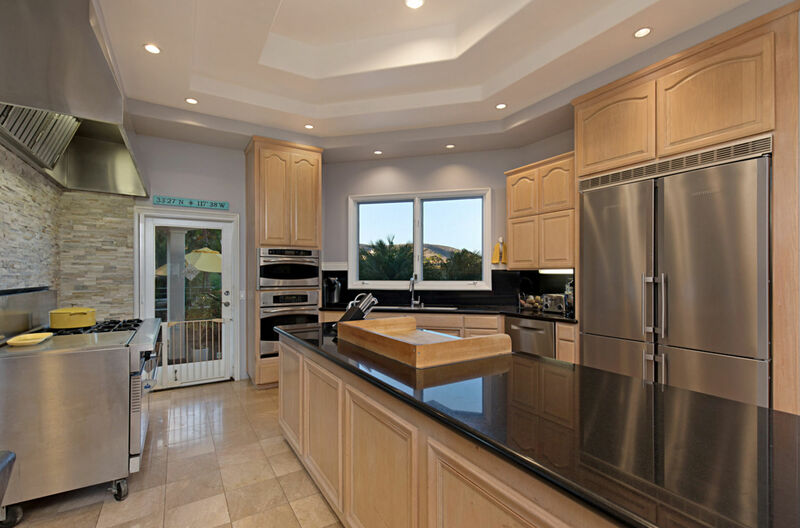 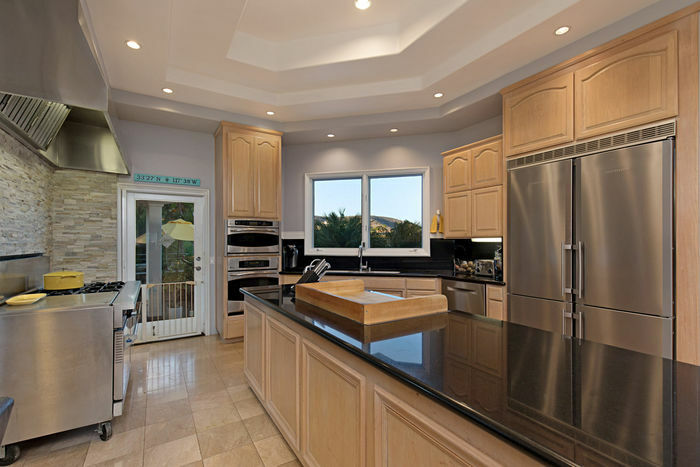 Kitchen w/massive island features stainless-steel appliances, an oversized built-in side-by-side refrigerator, beautiful wood cabinets, and black granite countertops. 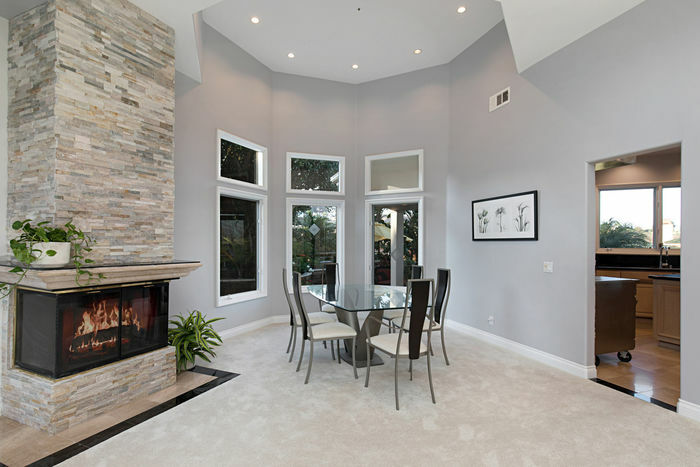 A white ledge-stone wall accentuates the highly-sought after commercial gas stove. 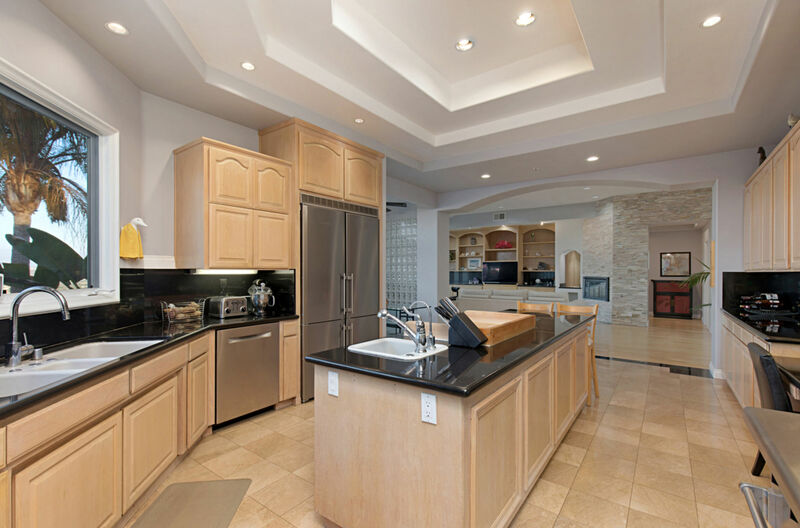 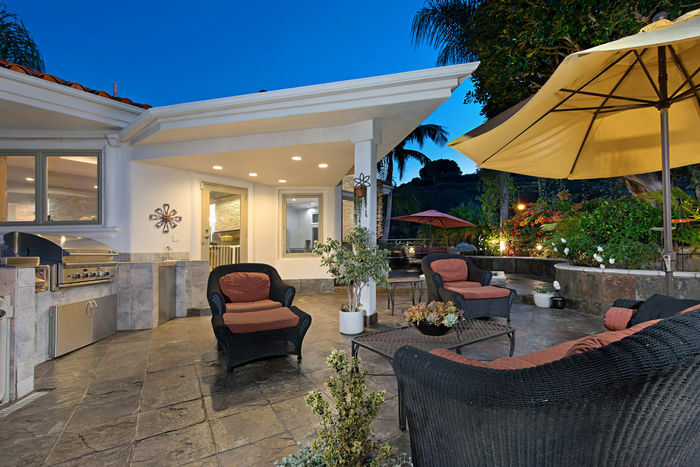 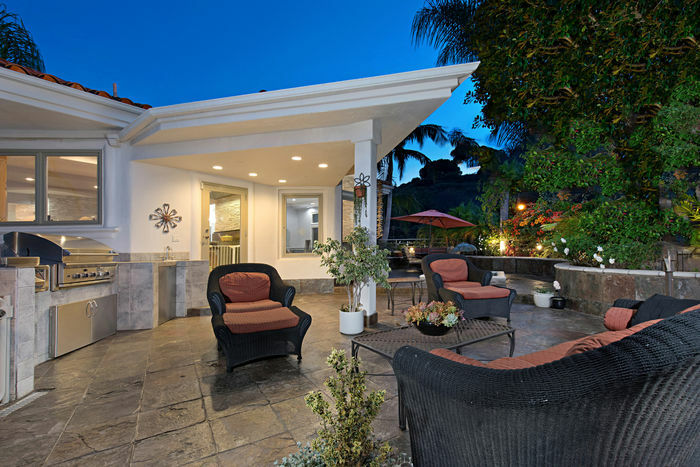 The indoor kitchen extends to an outdoor covered-kitchen area w/enough room for additional dining. 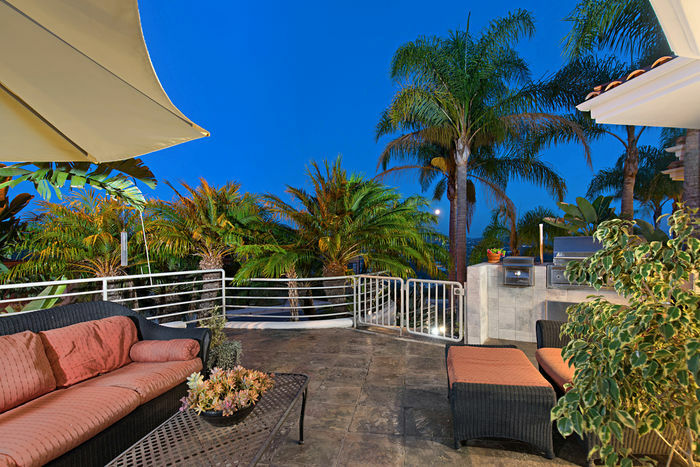 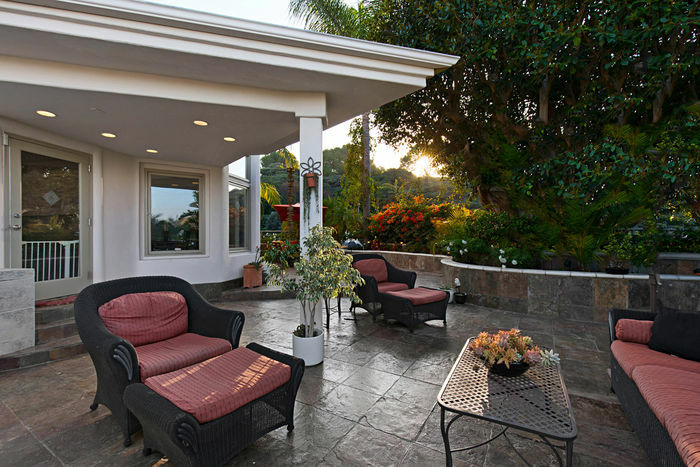 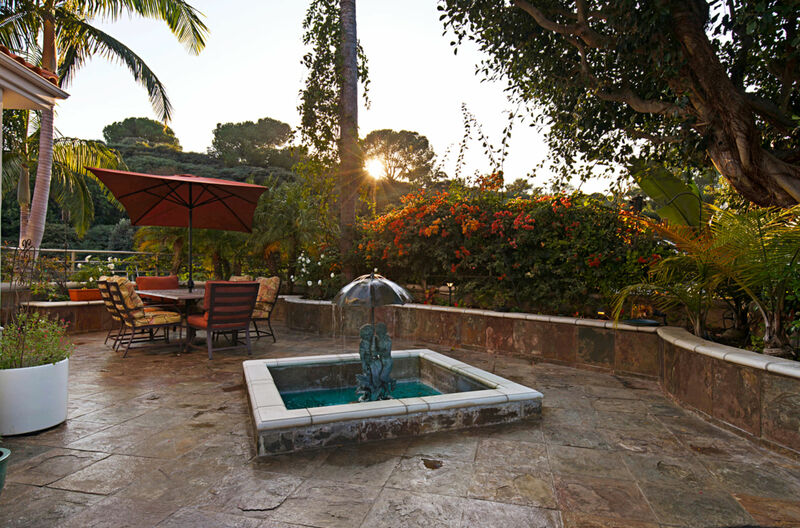 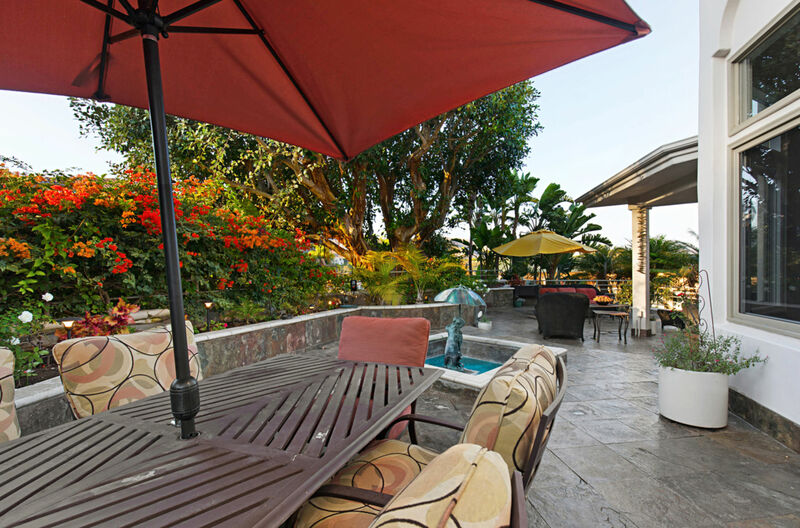 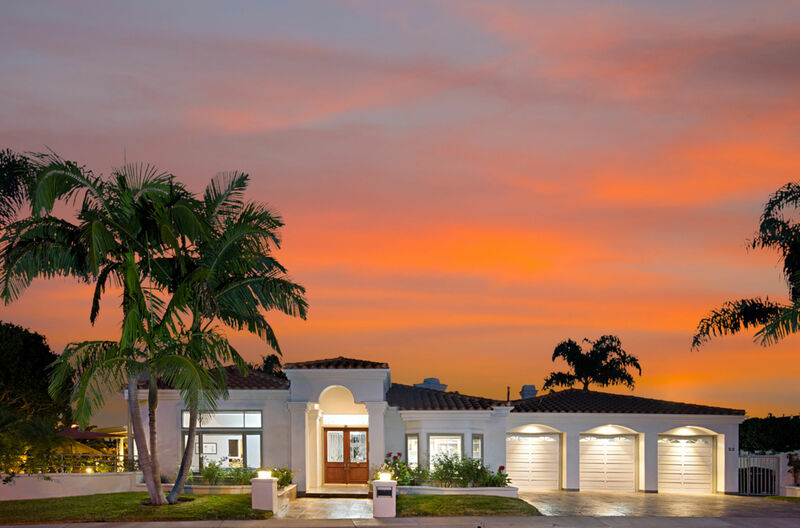 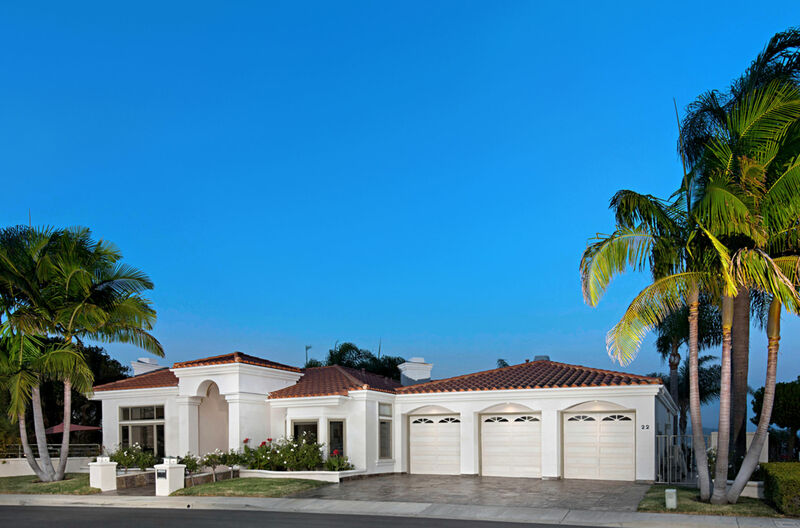 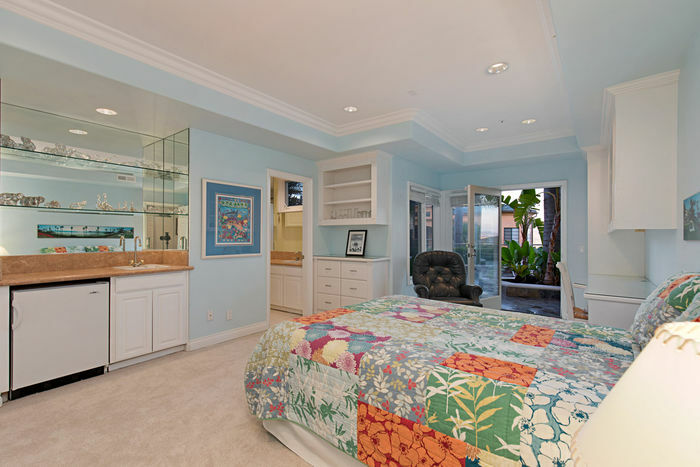 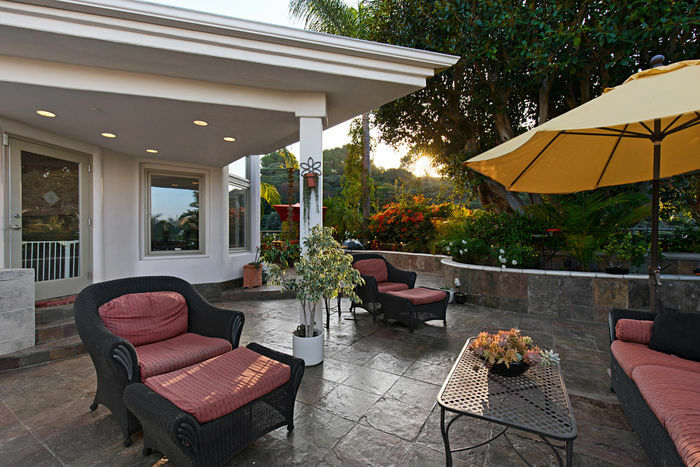 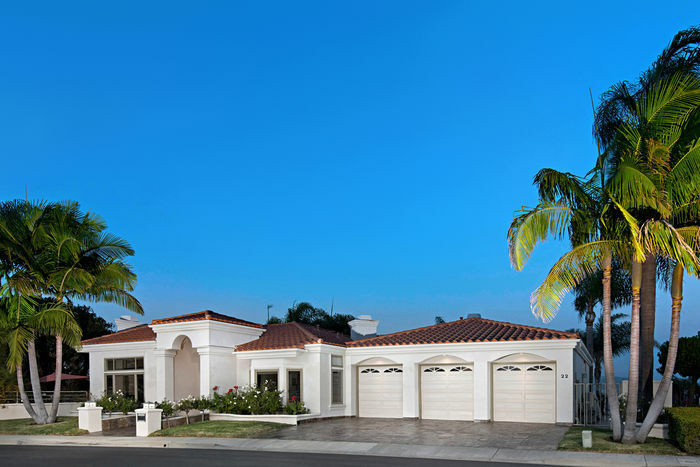 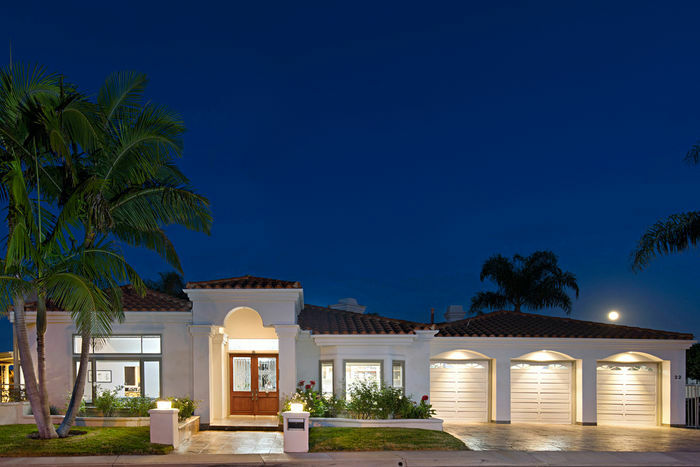 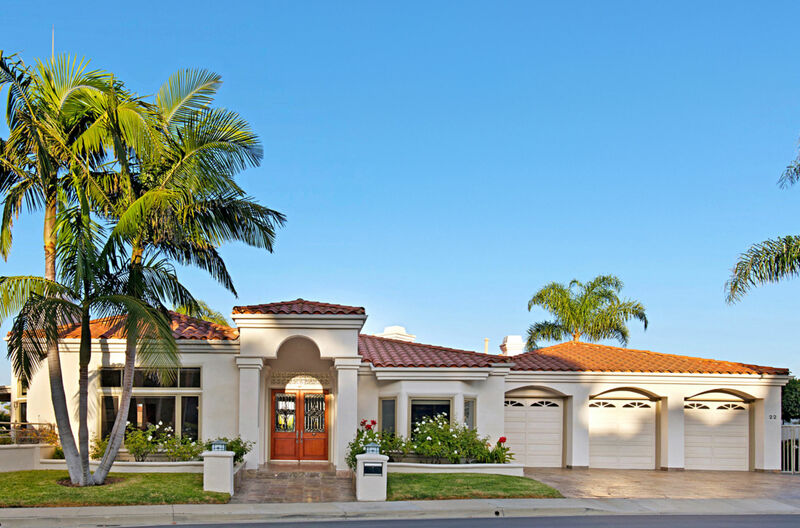 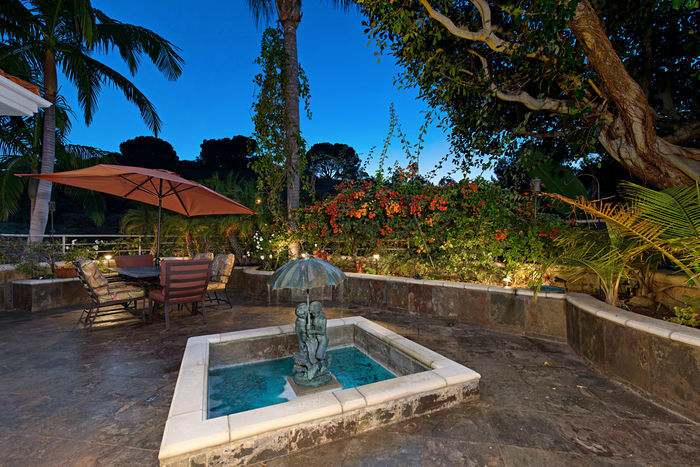 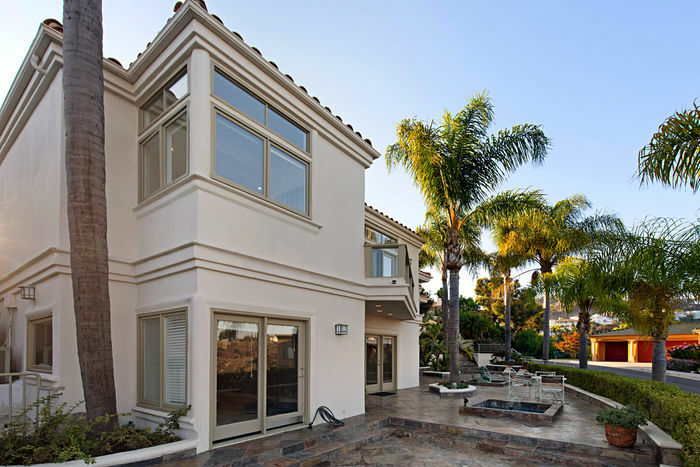 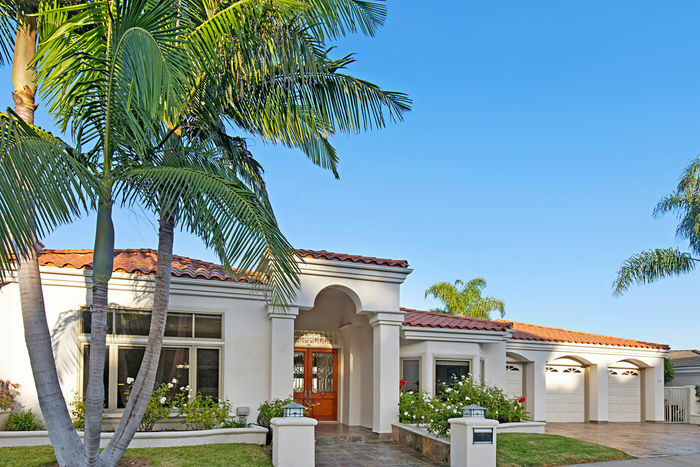 Enjoy Ocean Breezes from the extensive wraparound yard, exquisitely finished in slate w/3 water features, and garden areas w/tropical landscape. 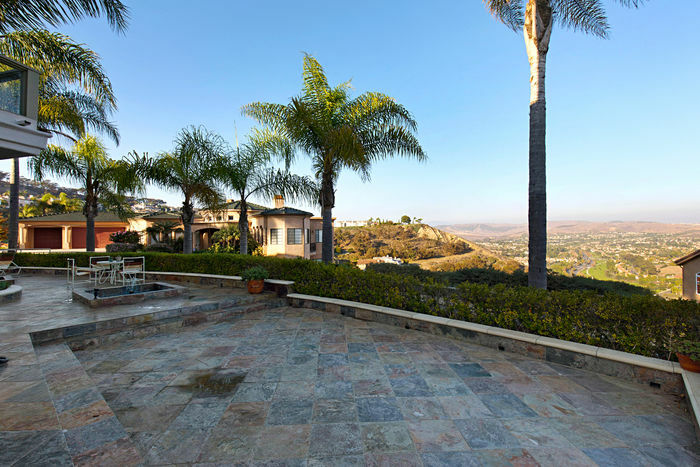 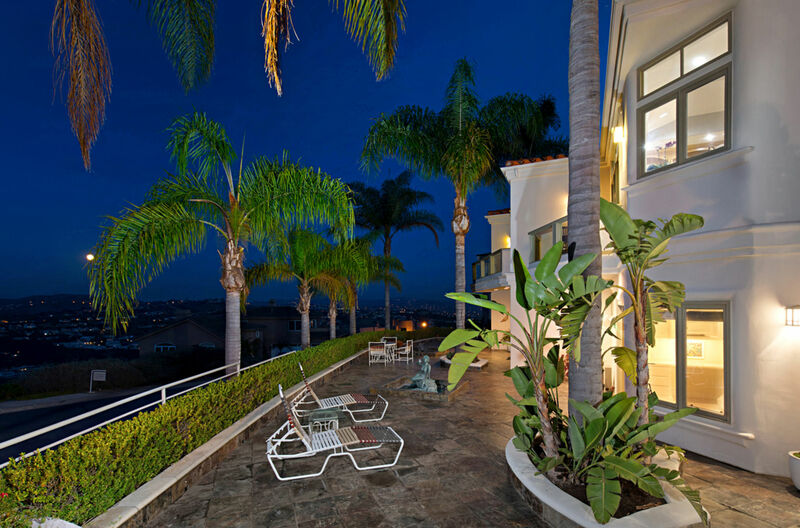 From this lovely yard, you can enjoy a view of hills, mountains, and peek-a-boo views of the ocean. This is an entertainer’s paradise. All living areas, including the master bedroom, are on the main, street-level floor. 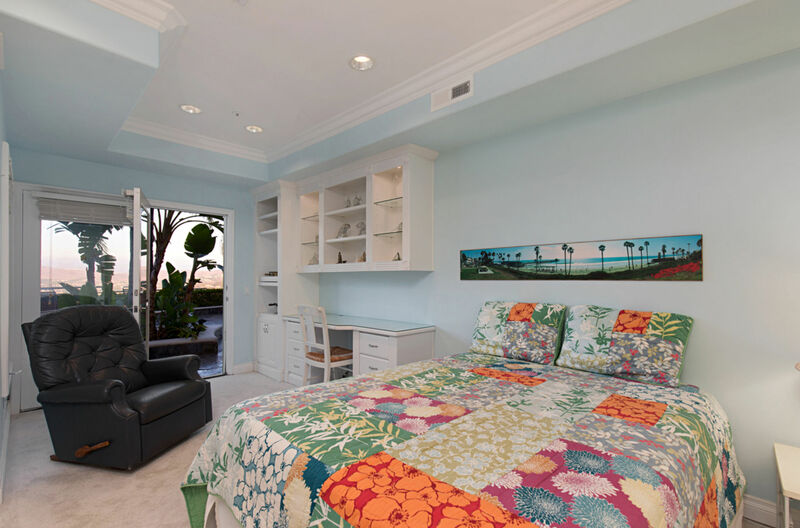 All additional bedrooms and bathrooms are separated from the main floor, each w/their own direct access to the exterior living areas. 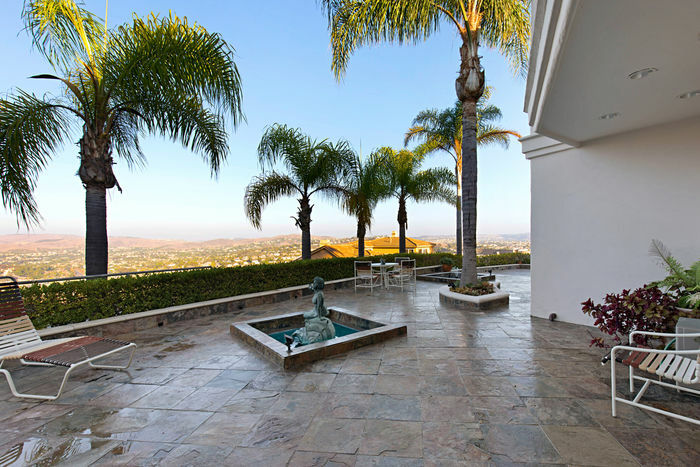 This is an estate where every room has a VIEW. 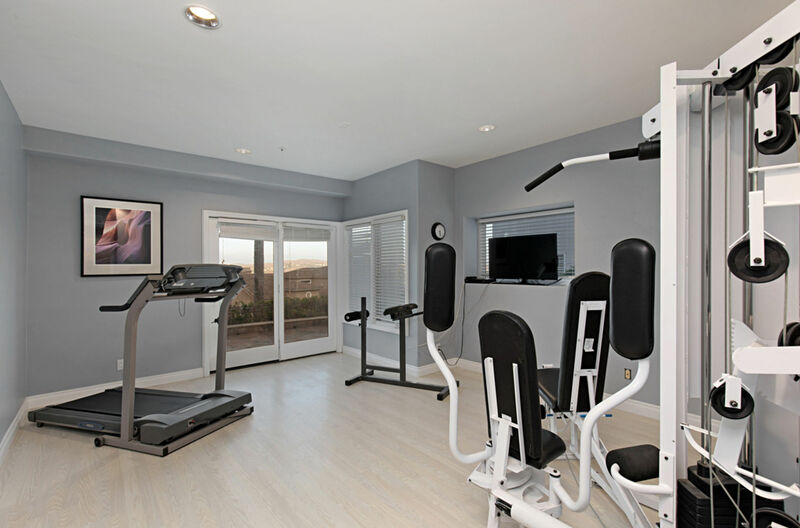 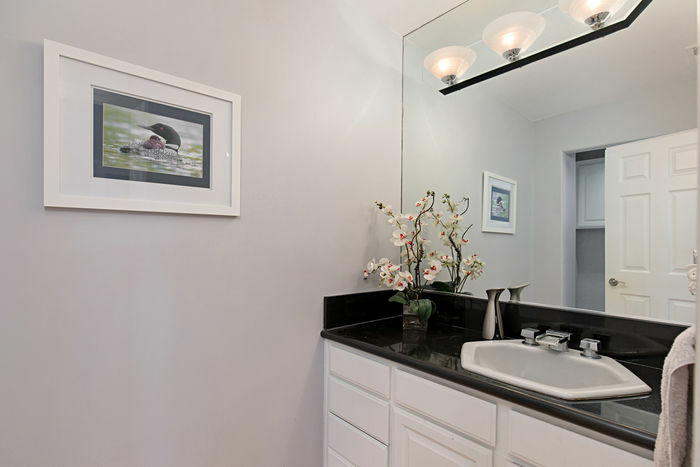 There are countless community amenities you must see to truly capture all this property has to offer.